Dürnstein is a picturesque town situated on the Danube in the Krems-Land district, Wachau, at approximately 80 km in north-west of Vienna and it is one of the most visited destinations in Lower Austria. A lot of tourists spend time in this wine region that has a special charm with its narrow cobbled streets, a monastery and a castle where history almost comes alive. It is not accidentally called the Pearl of Wachau. In Dürnstein you can find cozy hostels, family run but also 5 star hotels, all in perfect harmony with the nature. The city has beautiful vineyards as viticulture is an occupation that dates back for centuries in this small town. They produce quality wine, the Riesling and the Grüner Veltliner are famous worldwide. 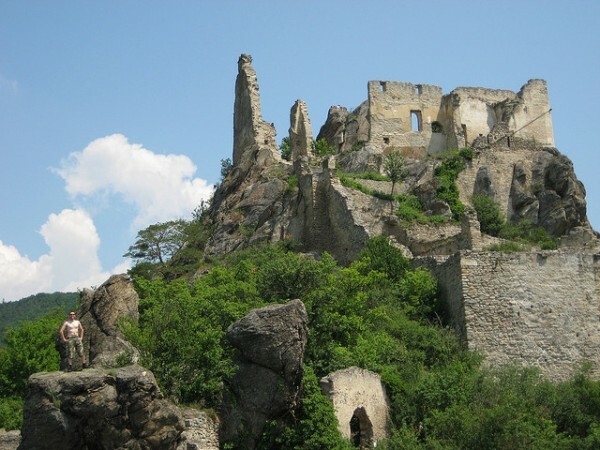 The ruins of the Fortress of Durnstein are situated at 159 m above the city. 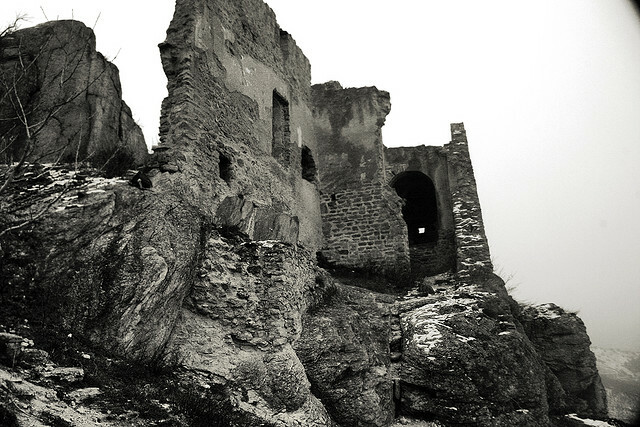 The castle was built around 1150 on the hill behind the town of Durnstein, the land was bought from the monastery of Tegernsee, by the Kuenringer Austrian family, the members of this family were holding important positions in the state. 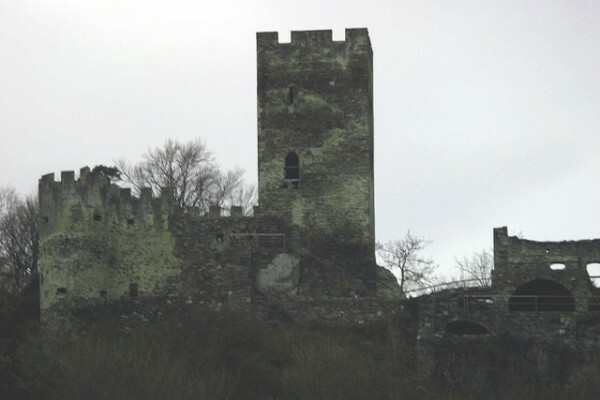 Mainly, the Castle of Durnstein is famous for the fact that here was closed Richard the Lionheart, King of England between the years 1189-1199. Duke Babenberg, also known as Leopold V, ruled the country during those years and imprisoned King Richard the Lionheart of England, known as Richard I The great military leader insulted the Austrian duke in Palestine during the Crusade to capture the Holy Land. He was kept closed from December 1192 to March 1193 by the Austrian Duke and by Hadmar II Kuenring, member of the Kuenringer Austrian family after his return from the Third Crusade in the Holy Land against the Muslims. Richard I was then handed over to Henric VI, the emperor of the Holy Roman Empire and King of Germany. In 1645 the Durnstein Castle was conquered by the Swedes in the Thirty Years War, this being used as a refuge in 1663 during the Turkish occupation. The castle was restored for several times, and since 1679 it has not been inhabited. 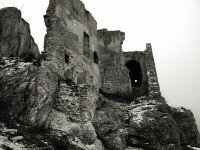 Today you can see only the ruins of the old Durnstein Castle, which are visited annually by nearly 2 million people. From the castle hill, at an altitude of 360 m above sea level, you can admire the town of Durnstein and the Danube that is passing nearby.